Have you always wanted to learn to quilt but you aren't confident enough to jump in ? If you have no sewing or quilting experience, this is the place for you to start. If you have sewing and/or quilting experience, this is also the place to start to confirm what you already know and to fill in the gaps of what you need to know about making a quilt. Here is your chance to learn from the start. 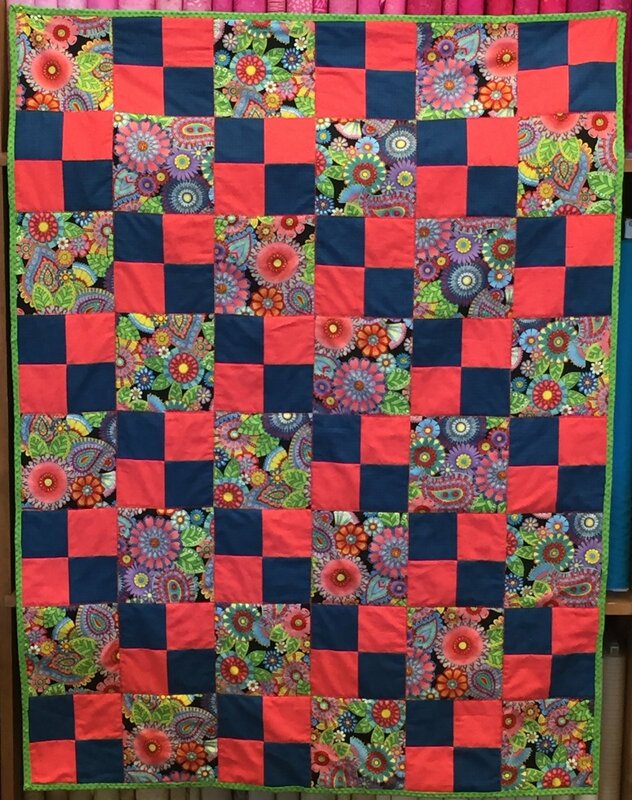 You will learn the correct way to cut using a rotary cutter, sew a correct 1/4" seam, piece and then quilt and bind. This is a four week class. As with all classes, space is limited and we also have a minimum number to start the class. Pick your fabric out prior to the class day. Be ready for great fun and the beginning of a great quilting adventure and a finished quilt, too. Sign up today ! Plus Book 20% discount on supplies purchased for class.